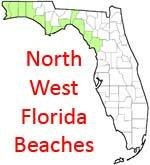 You can expect to find many beautiful state parks and public beaches on the North West Coast of Florida. White sand, crystal clear blue water and beaming sunshine. Welcome to the most inviting spot along Northwest Florida’s Gulf Coast – Destin! Part of the beautiful Emerald Coast beaches, the Destin area, which includes Destin, Fort Walton Beach, Okaloosa Island, and the Beaches of South Walton, has something for everyone. If you are looking for the best vacation accommodations or lodging, events and activities, restaurants, attractions, shopping, deep sea fishing charter boats, golf courses, water sports, and overall excitement for your next Destin vacation; the real estate, utility, school, and general information you need to relocate; or simply to escape from it all, we can get you here. Life comes to life in Fort Walton Beach. Whether you’re walking the endless sugar white beaches, viewing the boundless water from your hotel balcony, or touring the historic downtown, our city is the key to your adventure! Family fun starts at the Gulfarium and continues into the evening with weekly summer outdoor movies and fireworks at Baytowne Wharf. Indulge yourself at one of our many resorts and spas, or set a tee time for an exciting round of golf at one of the beautiful and challenging courses this area has to offer. Grayton Beach, Florida is a laid back place with quaint historic cottages next door to modern beach homes. It's an eclectic beach burg with good times, picket fences, old oak trees, funky art, and great dining & shopping. If you walk down one of Grayton Beach's well-worn roads, you get the feeling things haven't changed much in the last hundred-plus years since the town's founding. Magnolias, pine and oak trees surround the authentic beach homes. Located on the Florida panhandle, Mexico Beach is a community on the edge of the Gulf of Mexico but miles from anything else. As you drive along scenic Highway 98, there are no high rises, nothing to block your view of sea oats and white sand. You may stop for a family of beachgoers crossing the road, but no traffic lights. Park between palm trees, and enjoy. A little village that grew, Miramar Beach was once a sleepy spot on old Highway 98. Today this strip of coast road still reflects the community’s laid back beach personality. As it meanders past classic beach shops, seafood shacks, condos and private beachfront homes, it offers panoramic views of the Gulf of Mexico. Panama City Beach in Florida is one of the best known and most beloved beach resorts in the world. Beach goers come to Panama City Beach just to relax on its clean, white, sandy beaches, to participate in every imaginable water sport including scuba diving and fishing, and even to enjoy some of the hottest party spots anywhere. Panama City Beach is located in the Florida Panhandle where other vacation and travel opportunities abound. If it has been a while since you've come to the beach, take a deep breath. It's time. The gentle breeze is still soothing just as the crystal-clear waves roll in from the emerald sea. The flawless white sand is just as soft as before, and the sea oats still dance for a glowing sun. Rosemary Beach is a neo-traditional town located on northwest Florida's gulf coast, between Panama City and Destin, at the eastern end of Scenic Route 30A. Easily accessible by air or by car, the town is a 30-minute drive from the Northwest Florida Beaches International Airport and a one-hour drive from the Fort Walton Beach Okaloosa Airport. Santa Rosa Beach, Florida was recently named one of the 10 Best Beach Destinations for 2011 by Yahoo! Travel, joining the ranks of beaches in Hawaii, Bali and Mexico. Santa Rosa Beach is located in the heart of Beaches of South Walton along Scenic Highway 30A. Families find a relaxing atmosphere complemented by white-sand beaches that are among the finest in the world. A quiet residential community on the east end of Scenic Highway 30A, Seacrest is a mixture of “old” Florida beach houses and new, “Floribbean” charm. This mostly residential beach community has traditionally been one of the quietest since there is very little commercial development. It is also home to Camp Creek Lake, one of several rare coastal dune lakes in the area. Back in the 1940s and 1950s, families came to Seagrove Beach, Florida, to rent modest one-story cottages with paddle fans, instead of air conditioning and wide screened porches (perfect for sleeping). The same families returned to Seagrove year after year, and now second and third generations make the journey. The original vision of founders Robert and Daryl Davis, Seaside is the heart of Northwest Florida's Emerald Coast along the scenic Highway 30A corridor. Beautiful, unique residences and guest houses blend seamlessly with pristine beaches overlooking the crystal clear waters of the Gulf Of Mexico. Seaside is designed to reflect a simpler time, when meals were shared, stories entertained and walking was how people got around.